Happy New Year to ALL. We hope everyone had a wonderful holiday season. I started a New Year tradition and wrote about what I learned in 2018 then what my intentions will be 2019. One intention I set was to cook more. Preparing a meal in the kitchen allows me to get out of my head, tap into my creative side, and overall makes me happy. Do you and your families want to mix it up in the kitchen? For the next 5 weeks Emilie and I are coordinating to help the WHOLE family try new foods, discuss the benefits of cooking together, providing fun recipe ideas to try at home, and a few more ideas we want to keep a surprise for now. There are a variety of foods we ALL can try. 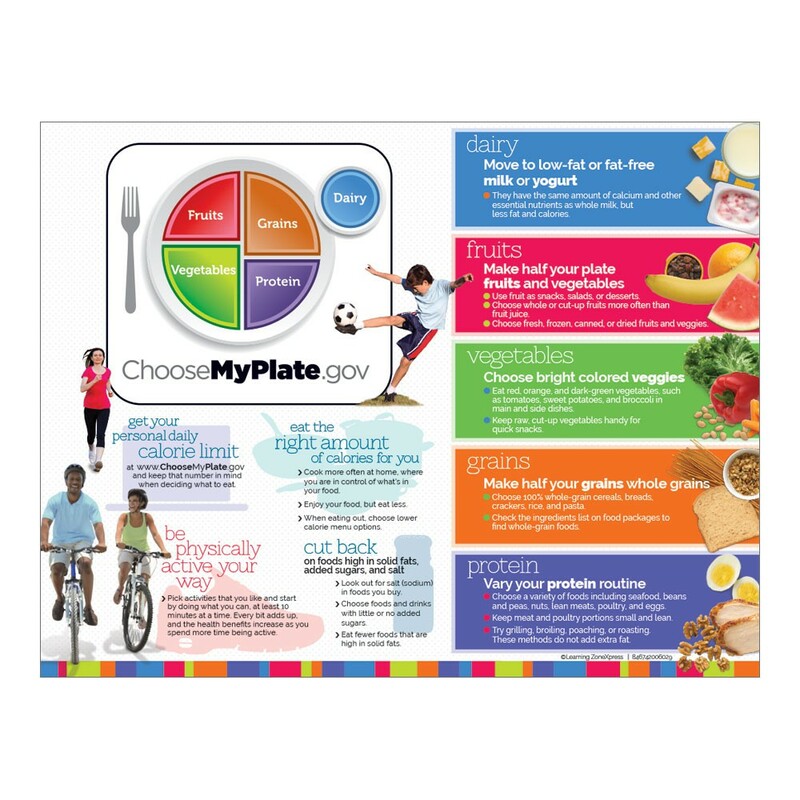 Choose my plate is a wonderful visual resource to remind the whole family of what is needed in our daily food intake to keep us feeling good mentally, physically, and emotionally. Check out my blog post on Back to School Mindset for more on the benefits food can have for the whole family. It doesn’t have to be just gold fish, peanut butter and jelly sandwiches and, cookies. Food fuels our body and mind. Some foods(packaged and processed) just don’t do that for us. They may taste amazing, but they can leave us feeling tired, upset stomach, headaches, and affect our overall health in the long run. I completely understand children and even ourselves can be PICKY when it comes to eating, but I promise it is possible to provide yourself and your family with delicious, quick, easy, inexpensive, and nutritious meals . Have each person in the family try one new food a week to add in their lunch or to the family dinner menu. Energy bites for cookies( i just made some energy bites with peanut butter, honey, oats, chocolate chips, and chia seeds… they taste like a dessert! And I don’t joke about desserts! (Emilie’s Tip) Snag the small packets of different nut butters & have your kiddo(s) sample the various flavors. Cashew butter is a creamy treat and sunflower butter is super decadent & sweet, while almond butter is a bit more savory. Kids LOVE to make their own choices. Again, I know it can be difficult to have your children and even yourself try a new food(I am a preschool teacher by day,so trust me I get it), but I promise food swaps can be simple. Go back to the basics and build from there. Leave Emilie and I a comment below and we will be happy to help you and your families any way we can. We made it to November. November/Thanksgiving is one of my top three favorite holidays because it is a beautiful time for us to sit, take a breath, and remember what we are grateful for. I’m going to share a few ways to practice gratitude this month and throughout the whole year. Each day or week create a list of 5-10 things you are thankful for. They can be big or small moments. For example: I am thankful for my comfy bed I sleep in each night. When your having a bad day, you can come back to your list, and inhale love and exhale gratitude. Take pictures of what you are thankful for or scroll through your phone, social media, computer, or camera and create a digital or “old school” photo album. *I personally love “old school” photo albums because, you can visually see the picture and hold that special moment you captured directly in your hands. Print and frame your top five pictures then place them around your house or create a gratitude wall that you can add to throughout the year. Go to the dollar tree or dollar spot at Target to find your favorite Thank You card pack. If you want to be really “fancy” you could grab some fun stickers and colorful pens to decorate your card. Write short sweet notes to the ones you love to just tell them THANK YOU. *My mom and grandmother continue to write sweet notes to me, other family members and friends. It brings me so much joy! Fold each paper in half then fill the jar. Each day, week, or when your family needs a joyful moment someone can pull and read one of the pieces of paper. Last "Friendsgiving” my friends and I went around in a circle and shared one thing we were thankful for. I can remember this moment vividly because I could feel the grateful energy in the room. Incorporating all of these gratitude practices together could bring anyone so much love and joy! To speak, see, write, and practice gratitude can help you cultivate an attitude with gratitude. I am thankful for everyone who takes the time to read my blog posts. I hope you and your families have a Thanksgiving full of gratitude and love. I would love to hear what you and your family are thankful for. Share your gratitude with us!! Happy Fall Everyone! Here in Alabama the weather likes to tease us. One day it is hot and then BAM! it feels like a cool Fall day. To help us enjoy this Fall season, I would like to share my top three Fall Fun Favorites for the whole family to enjoy. Where? Top Ten Parks to visit in Birmingham. Why? Our bodies can crave to be outside. The smell of the crisp air, the sound of the birds, the views all around, being able to move our body, and the feeling of the cool Fall breeze on our skin can be healing for the soul. Go outside and listen, feel, smell, and see what nature has to offer for you and your family. Carve outside for easy clean up OR put a bunch of newspapers, magazines, old sheet, or small tarp down. Bowl to keep the seeds for a yummy snack. BE CREATIVE! and HAVE FUN! Why? Embracing our inner child and creativity is refreshing. Your families favorite Fall sweet treat recipe. My favorite is candy apples. But really, cooking can be fun, creative, relaxing, and bring everyone together. I shared my top three Fall Fun Favorites, now share yours with us! Hello Families! Laura here to explain more why I am talking about creating a mindful lifestyle for the whole Family. Why is it important? Why mindfulness? Why Yoga? Why talk about it? I’m channeling my inner three year old of asking why. WHY. WHY! :) The question of why can be annoying to hear , but asking why provides us with so much to learn and explore. First, what is mindfulness? Mindfulness, in my mind and heart, is taking in every moment and feeling without judgment. For more on how to introduce and incorporate mindfulness in your family, go to my post Elemental Kids: Mindful Summer for the Fam. Now let us get back to WHY MINDFULNESS? Once I found mindfulness, I am now able to look at each moment of my day in a completely new way. When a good or bad situation is brought to me, I am able to breathe and embrace each moment. Even on those days my mind is out of control, I remember I always have my breath. Now, is this possible for children to grasp this concept? OH YES! Watch this beautiful video of children discussing the breath. The video brings tears to my eyes every time because why wouldn’t we want children to feel safe and calm every day? Especially the dark moments of their lives. Mindfulness is a superpower we all can tap into. OR this video explains WHY MINDFULNESS in a way that anybody can understand. Scientist are finding evidence that mindfulness/meditation has a positive impact on our brains. I’m not a scientist, so here is an article on scientific discovery on mindfulness from Huffington Post. Now that you have more information on mindfulness, why not try this approach? What could you and your families lives look like with mindfulness? I believe it is a risk worth trying! What is Yoga? Yoga means unity or what I like to say is community because yoga has allowed me to bring unity within myself, so that I can build a community around me.. The benefits that yoga provides for children is similar in the benefits yoga provides for adults. Yoga is a recipe incorporating mindfulness, meditation, and poses. These ingredients come together to create a safe place we can ALL come to when we are feeling our worst and even when we are feeling our best. Yoga isn’t just for when we are broken. Yoga is a lifelong practice of allowing us to always try and be in the present good or bad moments of our lives. Yoga Ed states, “Yoga supports your child’s development physically, mentally, emotionally, socially, and academically.” The article reminded me of how beneficial yoga would have been during my childhood. I believe I could have handled my stress and anxiety in a healthier way with yoga. Now, for my favorite part… the science of yoga. I can’t argue with science. Yoga supports development, sleep, physical fitness, the brain, and reduces stress and anxiety. I understand there are many out there that just won’t try yoga for many reasons. Now that you have this information, all I ask is for you and your family to try then see and feel what happens in your mind, body, and heart. First off because our world needs to talk more, text and social media less (find a balance),and talk about the matters that might make us a little uncomfortable. Here is why: I believe we all have shoved so much into the back of our minds because we are afraid of confrontation or change. I am 100% guilty of being this person who pushes conversations in the back of my head to be stored away and never communicated. I’m done being that person and I hope you will join me in this discussion and many more. Just imagine what would you and your families life look like with mindfulness, yoga, and healthy communication. Remember my Bonus tip from my Back to School Mindset Post you don’t have to make huge changes fast. Take one moment at a time. I want to hear your thoughts, so please leave a comment and we can continue this conversation together.